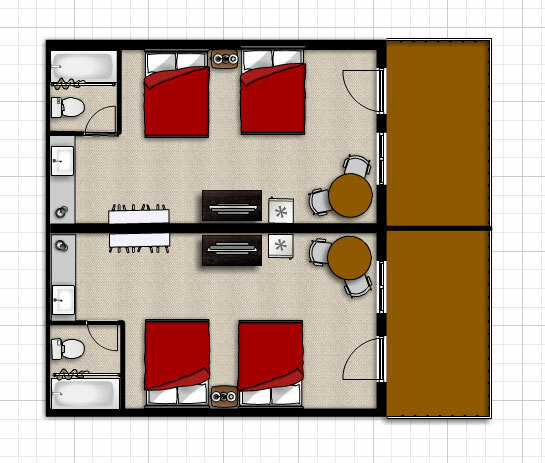 Fully Equipped Kitchen - stove, microwave oven, refrigerator, coffee maker, pots and pans, glass wear, dishes, and silverware. There is plenty of counter space to prepare meals and a separate lower counter top with stools. Each unit comes with 2 covered “Boat Ports” long enough for boats to stay hooked to your vehicle. 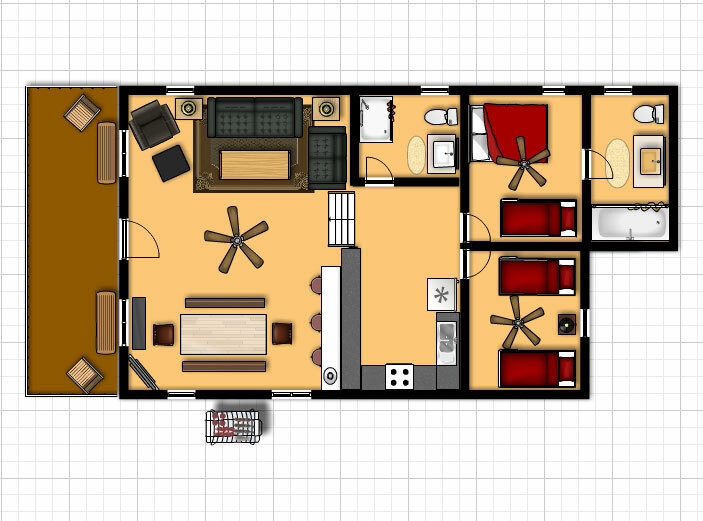 Full bathroom with a separate sink and vaniety area. 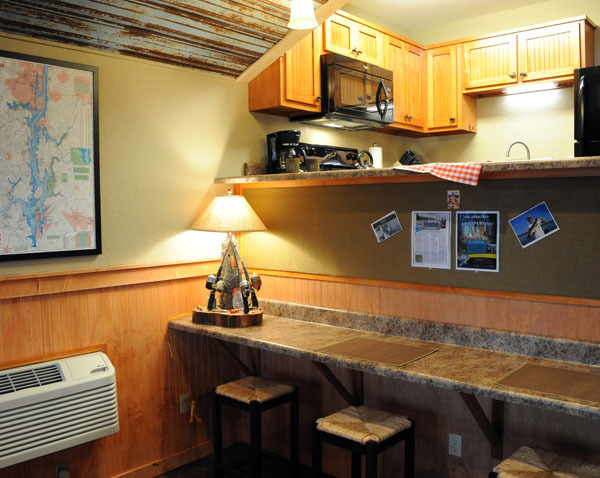 Table with two club chairs, Satellite TV, Wifi, coffee maker and a mini-fridge. 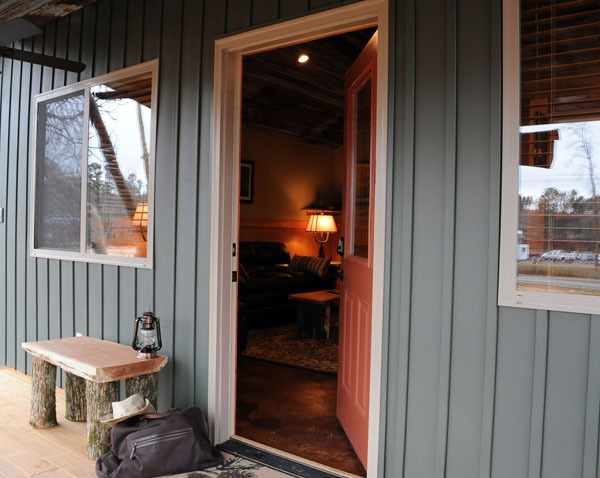 Cottage rooms have connecting pass through doors for families and friends. 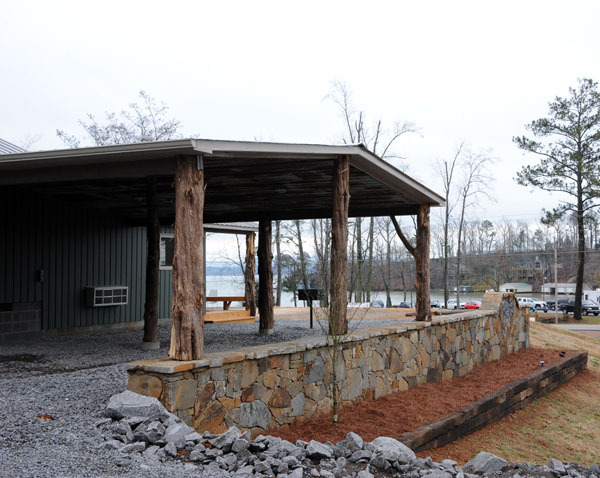 We are located on U.S. Highway 79 right next to Waterfront Bay Grocery and Tackle, 8 minutes south of Goose Pond, 10 minutes from Scottsboro, and 15 minutes from Guntersville. Welcome! 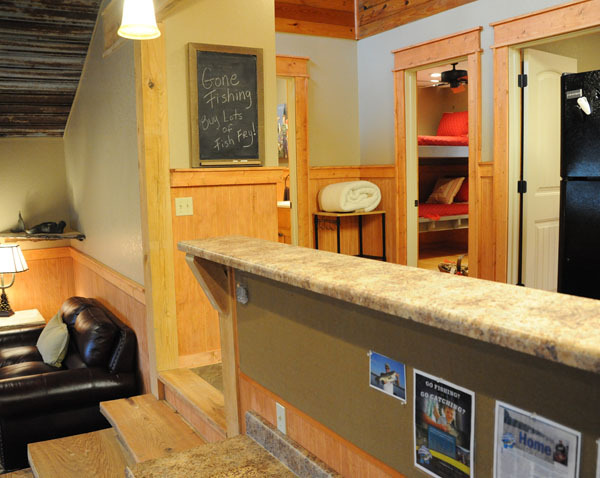 Come on in and get comfortable. 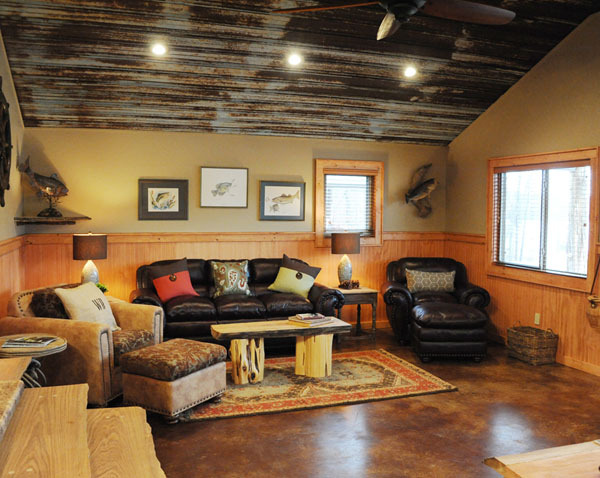 Our living rooms have plenty of comfortable seating for everyone. Eat at the dining room table or at the counter behind it. 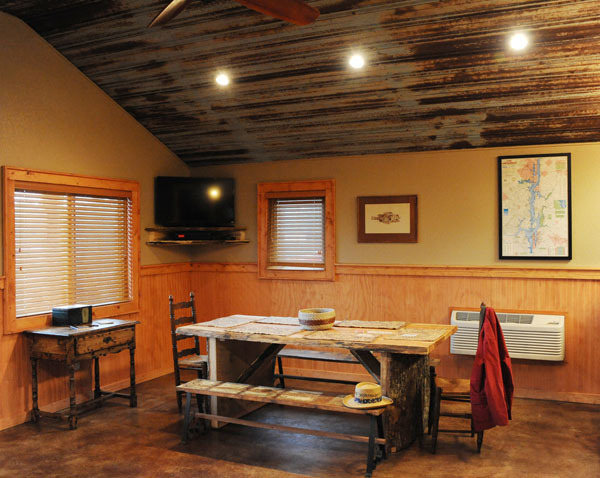 Plenty of room for you and any guests that might stop by for dinner. Counter is also great for preparing your tackle for the next days fishing. 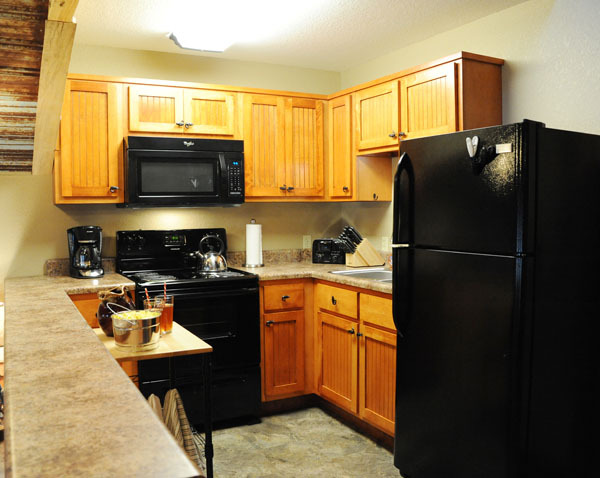 Kitchen is fully stocked with dishes, utensils, cooking pots & pans and full size appliances. 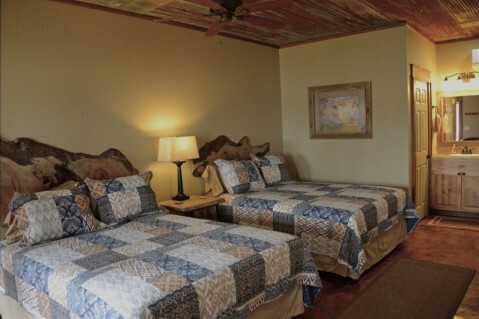 All the bedrooms and bathrooms are conveniently accessed right off the main second level hallway. Main bedroom sleeps four. 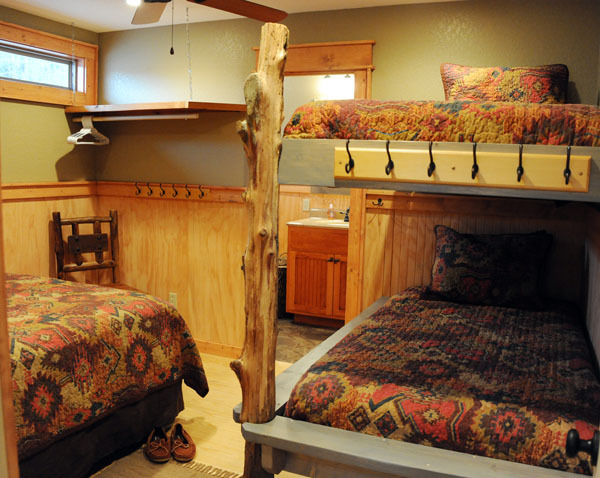 It has a queen bed with 2 bunk beds and it's own adjoining full size bathroom. 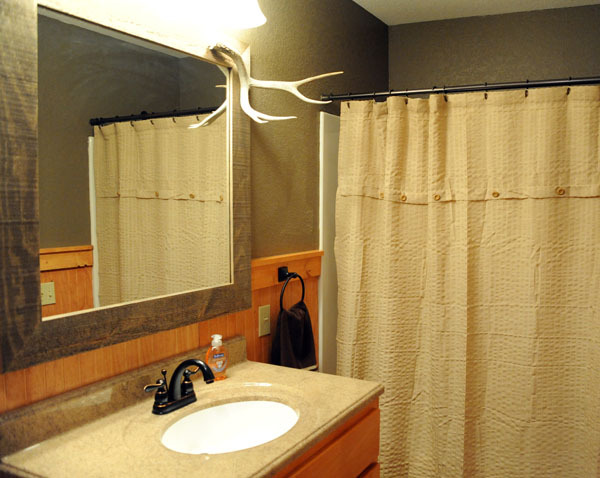 Bathrooms are full size and have either a full bath/shower or shower. 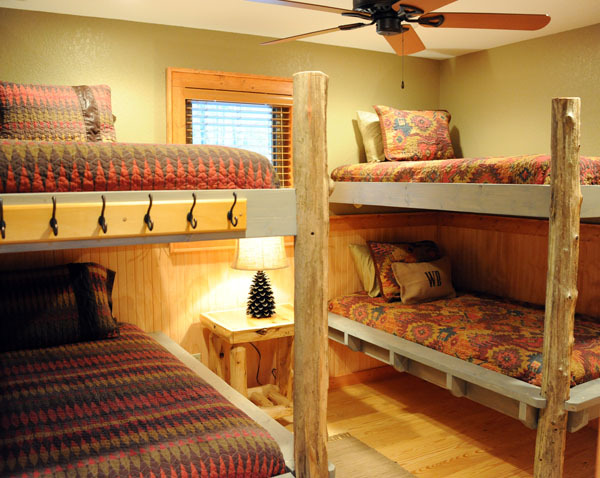 Second bedroom has sleeping for four in very sturdy and comfortable bunk beds. Boat parking ports are ample enough to back your boat in without disconnecting it from your tow vehicle. but not limited to cash, travelers checks and the credit cards listed above.